There is no doubt that the shooting of Botham Jean by an off-duty Dallas Police officer and his resulting death were horrible and tragic. 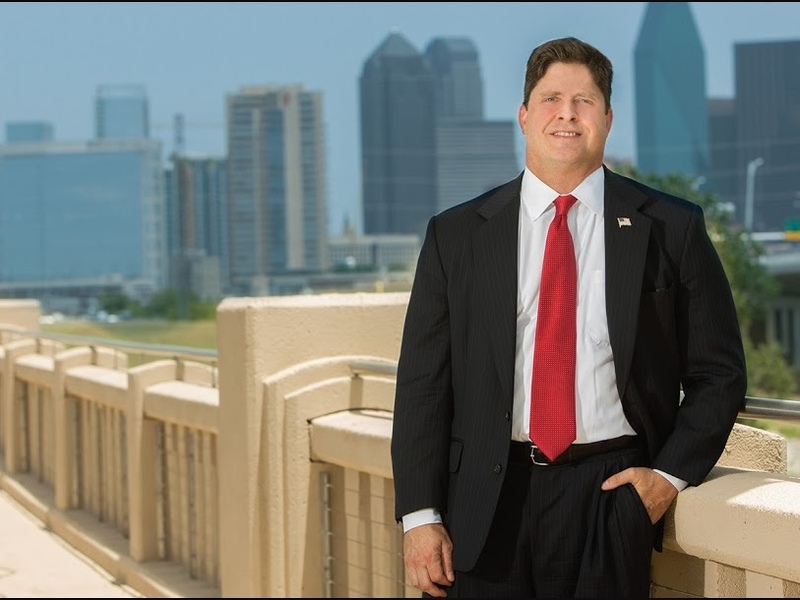 Dallas Criminal Defense Attorney and Former Federal Prosecutor John Helms has been a trial lawyer for more than 20 years and is uniquely positioned to evaluate cases from both sides– ensuring the best possible outcome for his clients. Law Enforcement Is Not “Smearing” Botham Jean. There is no doubt that the shooting of Botham Jean by an off-duty Dallas Police officer and his resulting death were horrible and tragic. Mr. Jean was shot to death in his own apartment by Amber Guyger, who claims she mistakenly believed she was entering her own apartment and that Mr. Jean was an intruder. This tragedy has become polarizing and controversial for a number of reasons, including the fact that investigators found and seized from Mr. Jean’s apartment, among other things, baggies containing 10.4 grams of marijuana and a metal marijuana grinder. Some have claimed that the seizure and public disclosure of this information is an attempt to “smear” Mr. Jean or that it reflects some sort of underlying racism in the investigation. Neither is true. I do not believe it is even a close call. Those who believe otherwise are misguided. This article explains why. The Search Warrant Does Not Reflect An Attempt to “Smear” Botham Jean. Investigators applied for and obtained a search warrant for the search of Mr. Jean’s apartment and articles in it like phones and computers. He was shot in his apartment, and it was a crime scene, so this is completely normal. They also applied for and obtained a similar search warrant for the apartment of the officer, Ms. Guyger. Among many things that the search warrant authorized the investigators to search for and seize were narcotics and illegal drugs. Does this mean the investigators were looking for drugs so they could try to smear Mr. Jean? No, it does not. To understand why, it is necessary to understand about search warrants and how they are drafted. A search warrant is a document signed by a judge or a magistrate that allows law enforcement to search a place or thing for evidence, contraband or both. The requirement of getting a search warrants is designed to protect our privacy. Normally, the police cannot just go into your house to search for evidence or contraband. Instead, the police draft an application for a search warrant and the search warrant itself, and they present it to a judge or magistrate. The application for a search warrant must contain sworn testimony showing that there is probable cause to believe the police can find evidence of a crime or contraband where they want to search. The judge or magistrate reviews the application to verify that the sworn testimony really proves probable cause. If it does, and if it meets the other legal requirements, the judge or magistrate signs it, and the police can search. One of the requirements is that the search warrant must describe the things for which the police are looking. Since the police draft the search warrant they want the judge or magistrate to approve, they usually include a broad laundry list of items they might find. If they seize an item that is not described in the search warrant, it is possible that the item cannot be used in evidence, so they want to include as many types of items as they can reasonably foresee. Not surprisingly, investigators who draft search warrants and applications do not start from scratch every time. They have forms they use that apply to lots of different situations, and they modify them if necessary for a particular case. The forms they use have very long lists of items for which they want to look. They do not try to think up everything they might find every time they draft a search warrant. Instead, they generally use the list on the form and add anything unique or unusual that might apply in an individual case. Drugs and narcotics would be a standard item on any search warrant form. If investigators are searching a location, and they find drugs, they want to be able to seize them without any argument that drugs were not included in the search warrant, so they routinely include them. Because it is standard practice for search warrants to contain references to drugs and narcotics, I do not believe the investigators singled out Mr. Jean. I believe they just kept those standard items in the warrant they presented. The Seizure of the Marijuana and Grinder Does Not Reflect an Attempt to “Smear” Mr. Jean. Some have said that the seizure of the marijuana and the grinder and recording the seizure was part of an effort to smear Mr. Jean. Again, this is simply not true. When investigators search a crime scene, they are looking for anything that might possibly be relevant to the investigation. They err on the side of seizing potential evidence and documenting where it was found. They do this for several reasons. First, they may not get another chance to find evidence. After they finish their search, other people may be allowed to enter the crime scene, move things, and generally alter how it was at the time of the incident. This may make the results of a later search unusable in court. Because they may not get another chance, investigators have to be thorough and get everything that could possibly be relevant. Second, they have to err on the side of getting everything because, in investigations, it is not always apparent at the time of the search why something might be relevant. Often, something that does not seem important early in an investigation turns out to be critical later. Therefore, they seize broadly. Third, if they overlook something, a clever defense lawyer will accuse them of doing a poor investigation. It is also important to understand that the seizure of an item by investigators does not mean that the item will be admissible in evidence at a trial. The trial judge will decide whether something can be shown to a jury. But 100% of the things that are not seized by investigators cannot be used, so they seize what could possibly be helpful to the investigation. With this background, let’s consider the seizure of the marijuana and the grinder. First of all, the marijuana is illegal contraband. The police are not going to leave it there for Mr. Jean’s family to pick up. They are going to seize it. Second, the marijuana and the grinder are at least potentially relevant for a highly legitimate reason. An important issue will be what Mr. Jean did when Ms. Guyger entered his apartment, and how she perceived what he was doing. Ms. Guyger claims that the apartment was dark, but she saw a silhouette of a man moving toward her. She claims that she pointed her gun at the man and told him to stop or freeze, but she says he did not comply and kept coming toward her, so she shot him. Whether, according to Ms. Guyger, Mr. Jean kept moving forward after she pointed a gun at him and told him to stop or freeze, could affect how reasonably she acted and her mental state. If Mr. Jean was high on marijuana, or groggy from sleep, or both, it seems likely that he would have been confused by what was happening, and that he would not have reacted the way a person who was sober, awake, and alert would have reacted. Thus, if he had been smoking marijuana, her story seems somewhat more believable. The fact that he had marijuana, by itself, may not strongly indicate that he was high at the time. We do not have the results of his blood toxicology tests yet, but if his blood contained THC, the active ingredient in marijuana, that plus the marijuana he had in his apartment could indicate that he might have been smoking that night. Also, consider the quantity of marijuana and the grinder. A typical joint probably has between 0.5 and 0.7 grams of marijuana. A pipe would probably hold a bit more. The 10.4 grams found in the apartment indicates that he had a ready supply. The grinder, which is used to grind buds into small pieces for smoking, indicates that he was probably an experienced smoker and not just someone who smokes every once in a while if someone offers him a joint. If the blood tests show THC, this would not necessarily tell us exactly when he smoked. So, the available supply of marijuana in his apartment on the night of the incident, plus the grinder, plus the blood tests may be relevant to explain what happened that night. Third, if the police had not seized the marijuana and the grinder, and if the defense lawyers find out that it was there, you can bet that they would easily be able to make the investigators look incompetent, or corrupt, or both. I want to make a few things clear, so that there is no misunderstanding. Does the fact that Mr. Jean had marijuana mean that he deserved to be killed? Of course not. If he was high, does this mean it was his fault that he was shot? Again, of course not. Does any of this make his life worth less? Absolutely not. But that does not mean that the marijuana and the grinder should not have been seized by investigators, for the reasons I have explained. The bottom line is that the marijuana and the grinder had to be seized. It was not even a close call. And it goes without saying that they would have done exactly the same thing if Mr. Jean had been white. The Recording of the Seizure of the Marijuana and Grinder Does Not Reflect An Attempt to “Smear” Botham Jean. But why did the investigators report it? Couldn’t they have just seized the items and not said anything? The answer is that, once they seized it, they were legally required to report it. When investigators seize items they find through a search warrant, they have to fill out a document called a “return” and file it with the court that issued the search warrant. The return has a list of everything they seized. It is filed with the court so that, if necessary, the judge or the magistrate who signed the search warrant can verify that the search was conducted and that what was seized was authorized by the warrant. It also serves as documentation of what they seized. So, they had to record it. They also recorded all of the other items they seized from their search. The Public Disclosure of the Return Does Not Reflect An Attempt to “Smear” Botham Jean. But why did the investigators publicly disclose what they seized? The investigators filed the return with the court, as they were required to do. They have done the same thing with returns for other search warrants in this case. The press found this return in the court files and reported on it. The investigators did not send it to the press or ask the press to publicize it. Is it possible that the return could have been filed under seal so that the public would not know about it? Possibly, but that is highly unlikely, especially in a high-profile case like this in which the public has demanded to know everything possible about the investigation. It is even more unlikely that a court would allow the picking and choosing of what would be under seal and what would not. If the press petitioned the court for access to the records, it is almost certain they would get it. Moreover, trying to hide some documents under seal would expose the investigators to allegations of covering things up. Many of the same people who have demanded complete transparency are now the same ones shouting that some of the evidence should have been kept secret. The death of Botham Jean has provoked very strong emotional reactions from many people. That is understandable and expected. But the seizure, recording, and public disclosure of the marijuana and grinder that he had in his apartment are not part of an attempt to smear him. Nor are they racially motivated. They are normal and expected for a case like this.